WHO IS YOUR NEW COMPETITOR? Alfonzo Venturi is the founder of Picaso Consulting and also a Director at miCloud Solutions, which specializes in Disruptive Innovation in the Insurance Industry. Working on changing the way we use technology on the future. 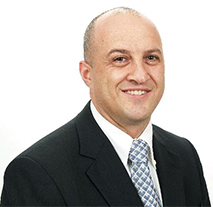 Alfonzo has worked as a CIO at numerous international companies. Alfonzo is a keynote speaker and his enthusiasm for Disruptive Innovation with focus on Collaboration, Continuous Improvement and Transformation makes him well equipped to challenge and inspire your team. miCloud Solutions provides products and services to Insurers, Assessors, Claims Managers, Brokers, Builders, Restorers, and Surveyors. miCloud understand how to link intelligent thought and logic with business requirements that are directly aligned to strategic goals and operational processes so predictable outcomes are delivered. Our award winning team have now designed, developed and built Cloud Assessing © that will revolutionize aspects of the claims management process. If you are interested in having Alfonzo speak at an event, please enquire via email.